Summer presents a whole host of destructive hair conditions. Whether it's the sun's incessant bleaching hot rays or the drying salt water that we submerge ourselves in to avoid them, there's always something that's leaching the moisture and nutrients out of our strands. Consequently, that's why summer is the season that we see the most split ends, brittleness, and unkempt styles. The only solution to summer-ravaged strands is giving your hair a little extra TLC and building an arsenal of hydrating, nourishing hair products. That's easy enough, but as always, we don't just want quick-fix products. We want to use those that provide instant and long-term hair health benefits. On top of that, we want to feel good about what we're using, which is why this year we're putting a special focus on vegan products. From shampoo to hair spray and hair masks, we want to redesign our haircare routine to be 100% vegan-friendly. Though that might sound difficult, it's not with these 17 products. Trust us. This vegan shampoo offers the moisture of a co-wash with the cleansing power of a traditional shampoo. Thanks to ingredients like algae extract, panthenol, biotin, and rose oil, it nourishes the hair while cleansing. There won't be any stripping of natural oils, drying of the cuticle, or splitting of ends found here. 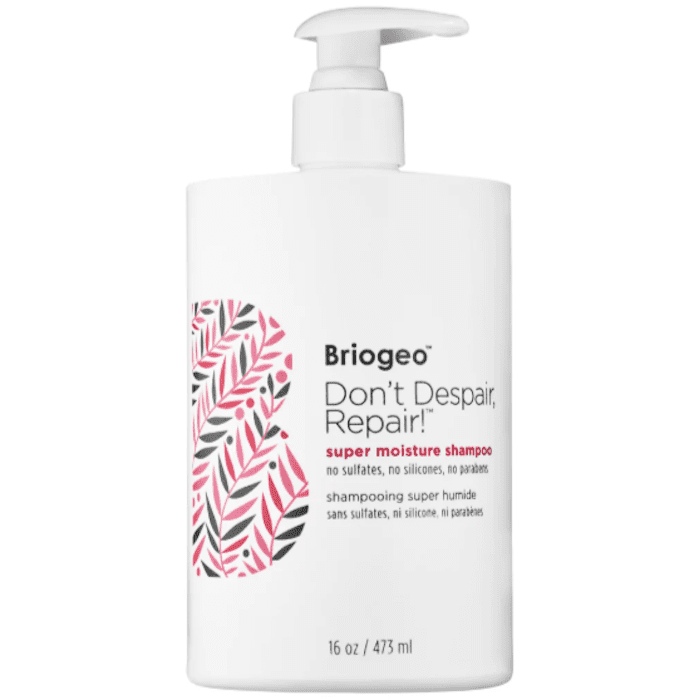 Personally, I love to use this shampoo when my hair is stripped and brittle, since it has a soft and silky texture that distributes evenly throughout. When my hair is feeling especially damaged and I use a traditional shampoo, I end up missing certain areas and getting oily spots. I love that I don't have to worry about that with this Briogeo one. 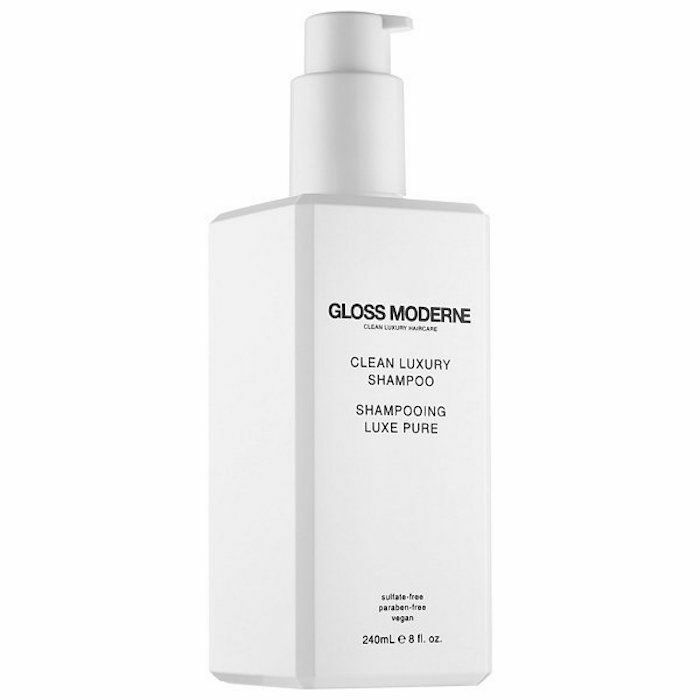 Gloss Moderne's Clean Luxury Shampoo is a beauty-editor favorite (and has been for years). It's formulated for any and all hair types and leaves the hair clean, soft, shiny, and nourished. The aspect we love the most has to be the fresh and floral fragrance that the brand says was inspired by the French Riveria. It takes our shower up a notch, making us feel a little extra fancy and luxurious. Take it from Byrdie's editorial director, Faith, who says, "I love the Gloss Moderne Shampoo, mostly because it checks all the boxes for me: it's sulfate free, makes my hair feel soft and clean, and smells like a tropical vacation." 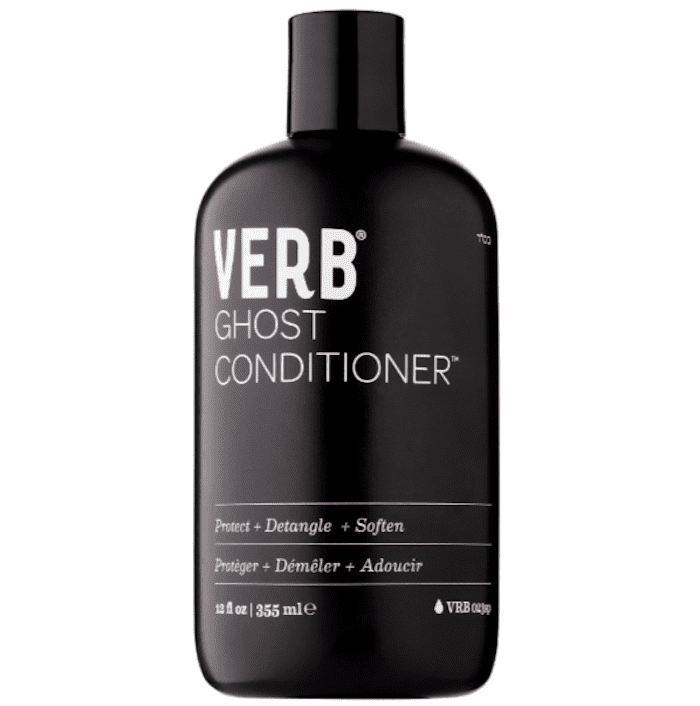 Verb's Ghost Oil line offers the hair lots of much-needed hydration without any annoying limpness or weight. The secret is lightweight moringa seed oil. It's perfect for people who have dry, fine hair (like this particular beauty writer). No matter how fine and flat other heavier conditioners make my hair feel, I can always count on this one to leave movement and bounce behind. (As if that's not enough, it even has sunflower seed extract, which provides natural UV protection). 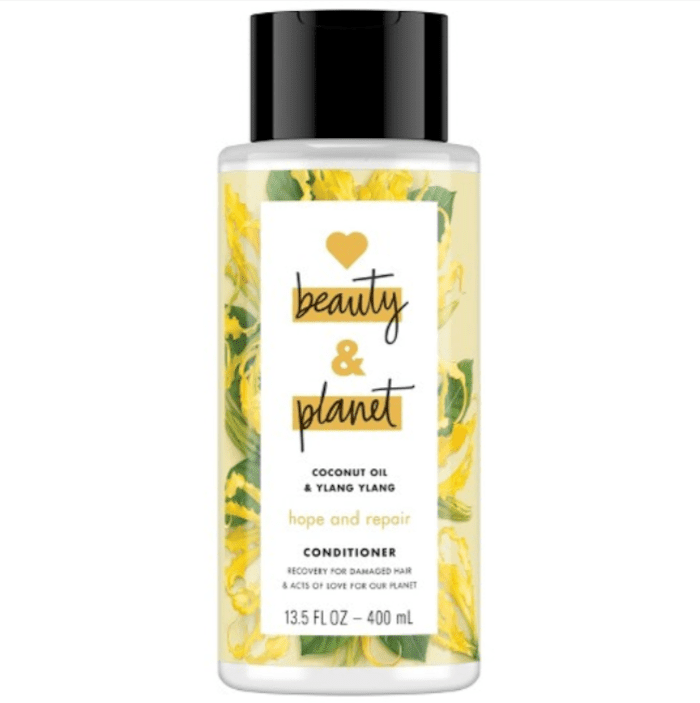 For budget-friendly haircare, we recommend checking out Love Beauty & Planet products, which can be found at Target. They're vegan, cruelty-free, and eco-conscious (the packaging is made from recycled material). This conditioner has ylang-ylang flower and coconut oil to repair damage and prevent brittleness and split ends. Take it from one reviewer, who writes "I love this conditioner! I have crazy unmanageable curls that were just out of control, I couldn’t find a conditioner with natural products and stumbled upon this one. Doesn’t weight down my curls and it makes my hair so soft! I have been using it for a few weeks now and I can definitely tell a difference! I will be a long time customer!" Although it's technically a hair rinse, you can substitute this product for conditioner. Argan oil, lavender extract, and aloe vera condition the hair and protect its color from fading, while apple cider vinegar strengthens the hair and makes it incredibly shiny. Seriously, the amount of shine is kind of insane. It's why Byrdie editors swear by it. For proof, check out our full product review. Here's a sneak peak: "I am pretty much obsessed with it and can’t wait to use it again. I am literally running my fingers through my crazy soft hair as I write this." 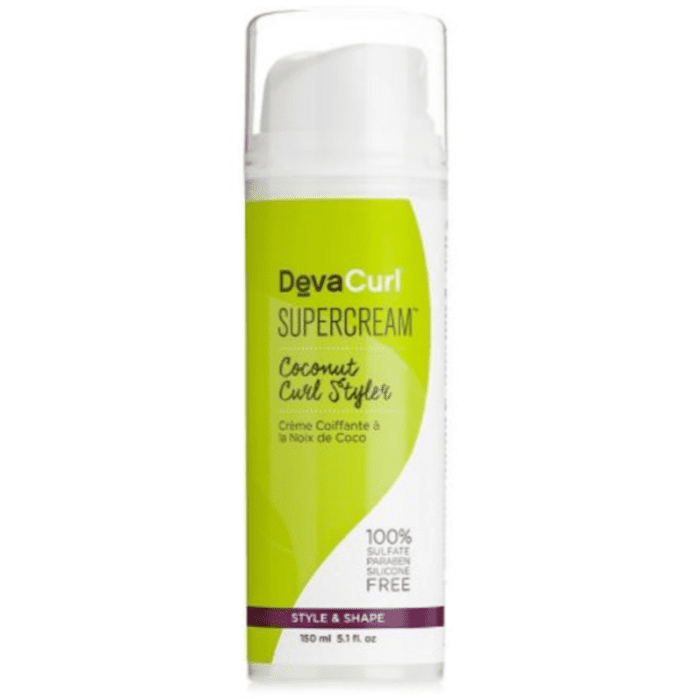 This vegan styling cream is perfect for curly-haired girls since it nourishes the hair with coconut extract while adding flexibility and definition to its natural texture. Pro tip: If you want to boost your natural curl pattern, apply this and then twist with your fingers. It's that easy. The cream will add hold, volume, and definition. "I LOVE this product! It smells amazing and it makes my hair softer. I repurchase this when i get half way thru the one i'm on," writes one Ulta reviewer. "I just wish it came in a bigger size option—like most other DevaCurl products." 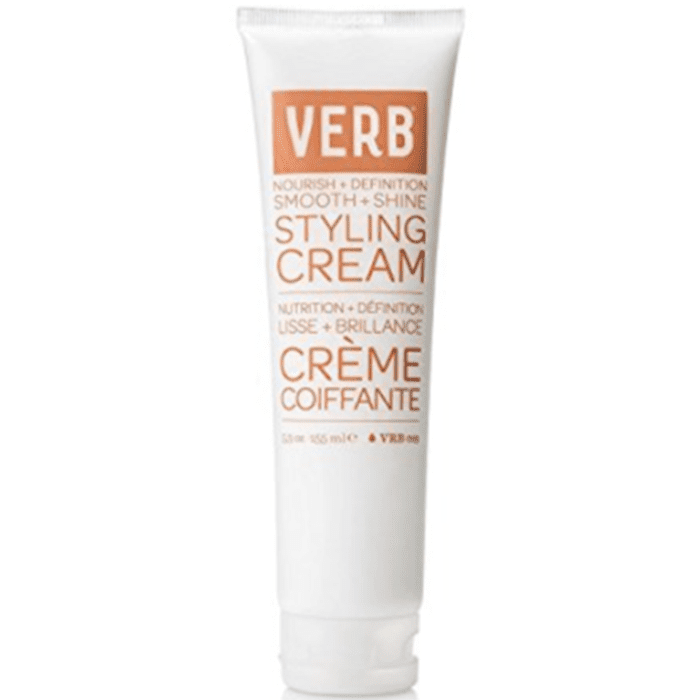 Here's another Verb product we love for protecting and styling our summer hair. It provides lightweight hold along with a smoothing effect, while bamboo, green tea, and sunflower seed extracts fend off harmful UV rays. Sometimes we run it through our mid-lengths and ends just for the resulting hydrating and smoothing effect. Yes, believe it or not, effective vegan hair spray exists. 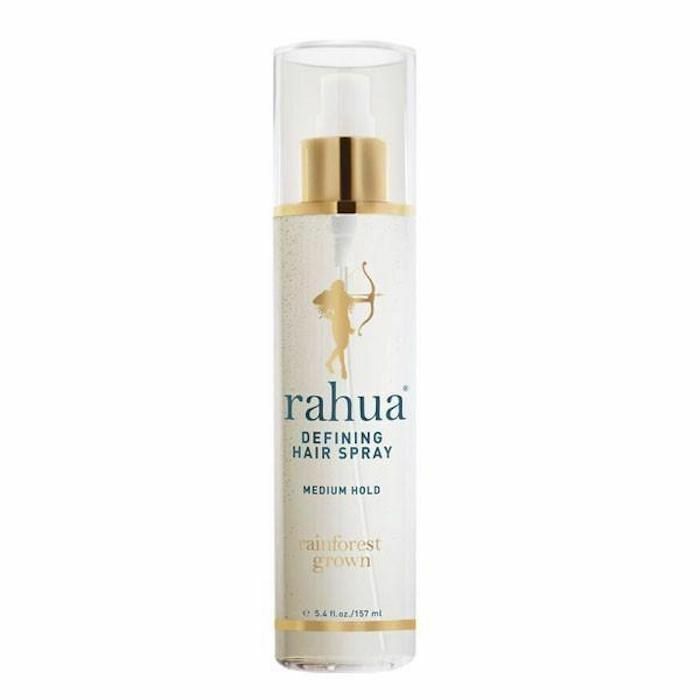 This one is from one of our favorite haircare brands, Rahua. It's a non-aerosol spray that provides a long-lasting and medium-hold finish to any hairstyle. It offers UV protection, too. As one Sephora customer put it, "I love that it's non-aerosol and gives me the perfect amount of hold. I like soft hold, not crispy hair, and that it doesn't kill the ozone layer." If hair spray that smells like black pepper, blackberries, dewy violet, geranium, and leather accord sounds good to you, then you'll love this lightly fragrant IGK hair pick. The vegan, cruelty-free, and UV-protective formula provides lightweight, flexible hold for breezy summer hairstyles. It has over 1500 "loves" on Sephora, with glowing reviews to match. "The bottle is so cute in person and it smells amazing. I use it to set my curls with a curling iron and my hair stayed bouncy and curly all day without the crunch." 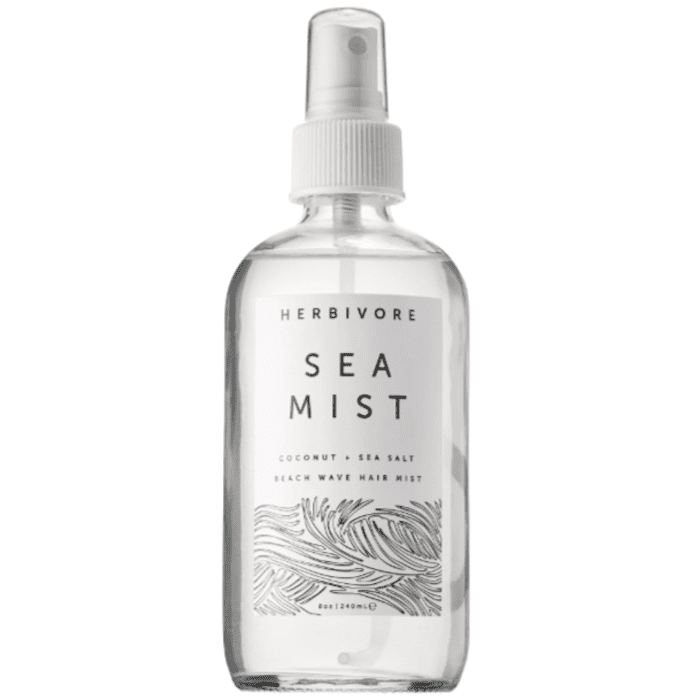 Herbivore's salt spray has the same salinity as the Pacific Ocean, which is why it so perfectly replicates the textured waves of a day at the beach. It even makes you feel like you're at the beach since every spritz smells like coconut and vanilla. It's pretty dreamy. 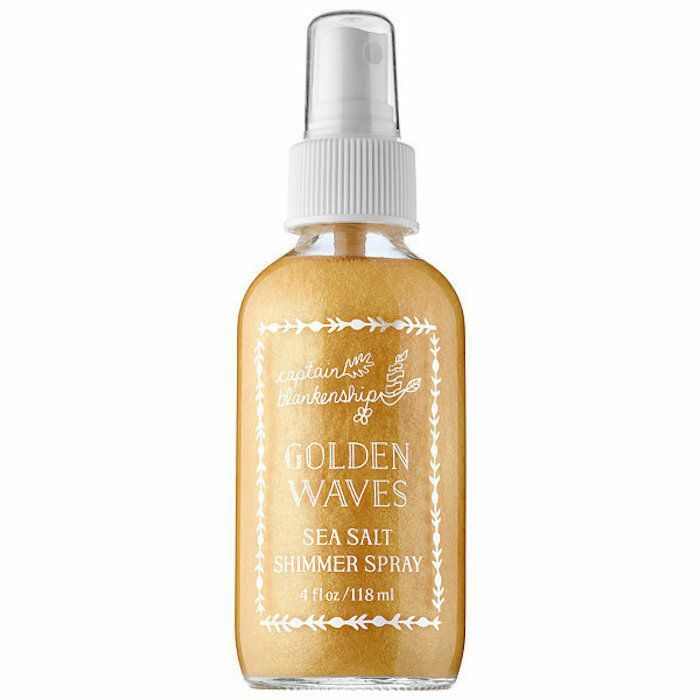 This vegan and organic sea salt spray from Captain Blankenship is unique because it's infused with gold mica, which leaves a subtle, shimmery finish to your strands. It's like shimmering body oil but for your hair. I love to spritz it through my hair when I know I'll be out in the sun, since the tiny gold particles reflect the sunlight in such a way as to make my hair look shinier and healthier. long story short: it's basically the best 'your hair but better' product. 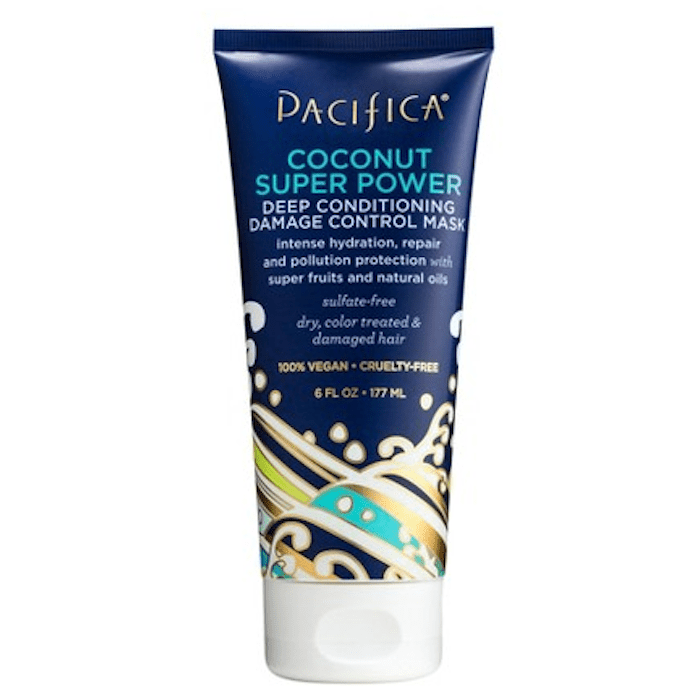 Pacifica's vegan, deep-moisture mask is formulated for all hair types—including color-treated hair. It uses coconut oil and super fruits to correct dryness, brittleness, split ends, and all other forms of hair damage that happen in the summertime. This vegan mask from another Byrdie-favorite brand, Klorane, is formulated with 23 different nourishing ingredients. This mask is best used come mid-summer when our hair feels its most dry and damaged from the hot sun. Take it from real reviews, like this one. "My hair type is thick and pretty much straight with some body to it. This worked so well for me when I noticed how dry my ends were! I take a little scoop out, rub it in my hands, run it through my hair focusing on the ends, and let it set while I do the rest of my routine. 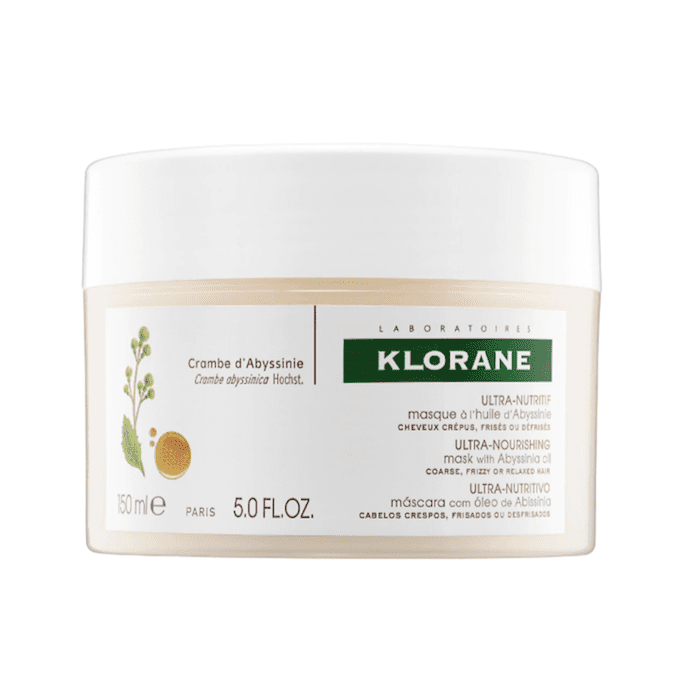 Here's another vegan hair product from Klorane. (Can you tell we love this brand, yet?) It's one of the first formulas we ever owned—long before dry shampoo hit the mainstream. It's another main-stay in our editorial director's beauty cabinet. 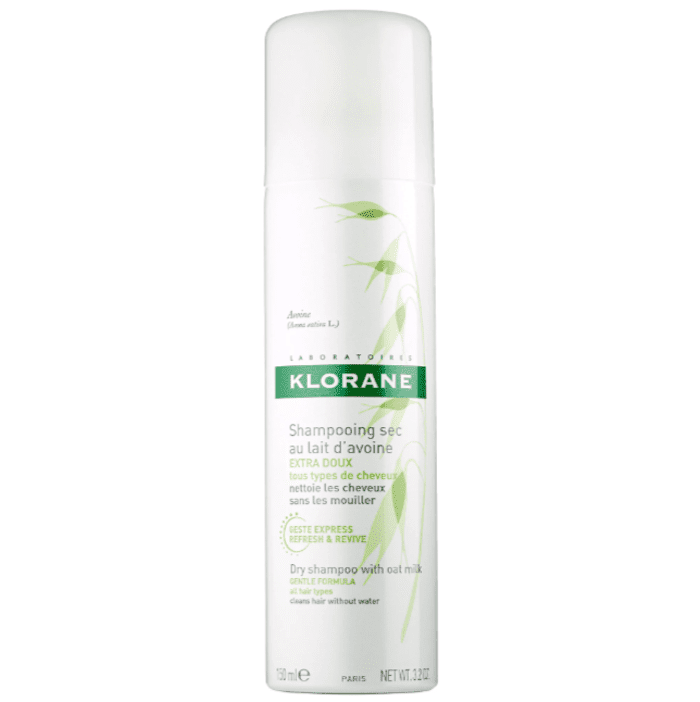 "Klorane Dry Shampoo is one of my tried-and-true picks. Some people like their dry shampoo to be pretty much invisible, but I actually like that this version leaves a white cast that you have to massage in. The more massage it in, the more volume you get and the less oil you'll see on your scalp. Plus, unlike other versions, the smell isn't overpowering." 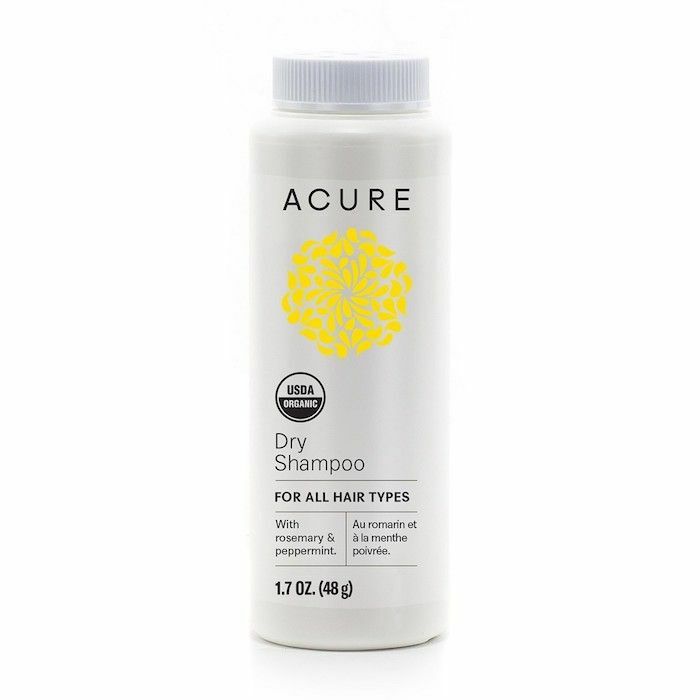 Acure's dry shampoo is vegan, sulfate-free, paraben-free, and phthalate-free. It's USDA-certified organic and has rosemary and peppermint for a fresh, uplifting scent. It's not an aerosol, instead it's a fine powder that you puff onto the roots of your hair directly from the bottle. We like that, because it means it adds more volume and lift than other spray shampoos are wont to do. Hair supplements are a great option for people looking to bolster and round out their healthy hair routine. 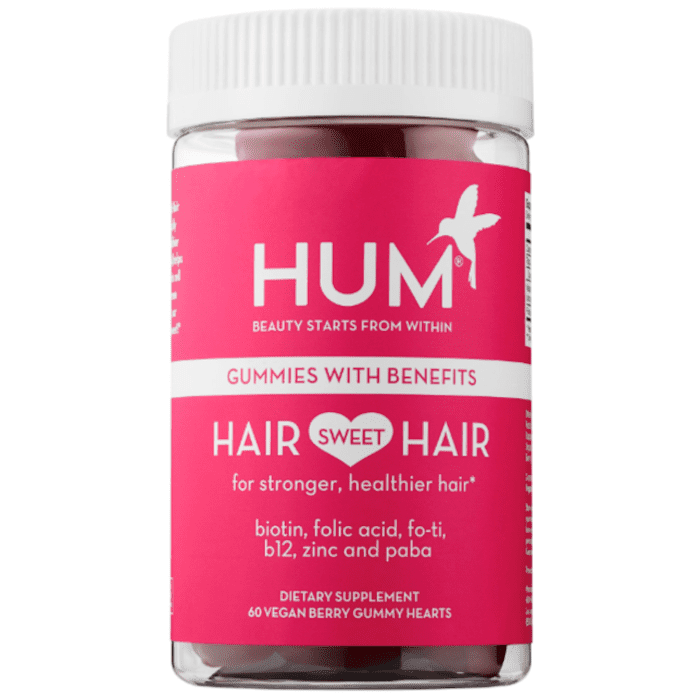 These vegan gummies from Hum Nutrition strengthen hair, promote growth, add shine, and even protect hair color. Customers love it. It has over 10,000 (yes, that's a total of three zeros) "loves" on Sephora's website. One reviewer writes, "I have really course thick hair, prone to breakage and I've noticed my hair is so much softer, shinier and easier to work with. My hairdresser even asked if I was doing anything different as my hair has drastically changed." We have a final vegan hair product suggestion for you. Because this is, in fact, a roundup of products meant for summer, we just had to include a hair-lightening spray. 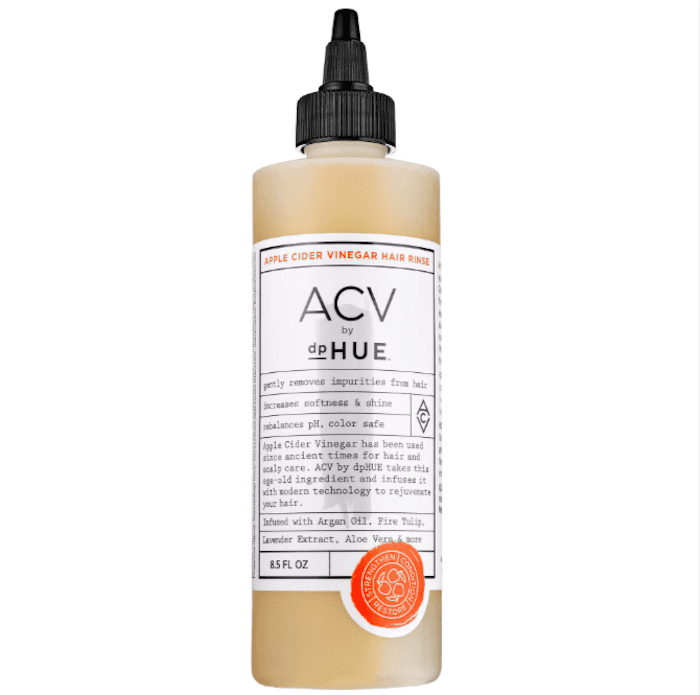 This vegan formula is completely free of hydrogen peroxide, which is an ingredient in other popular competitors that can dry out the hair. 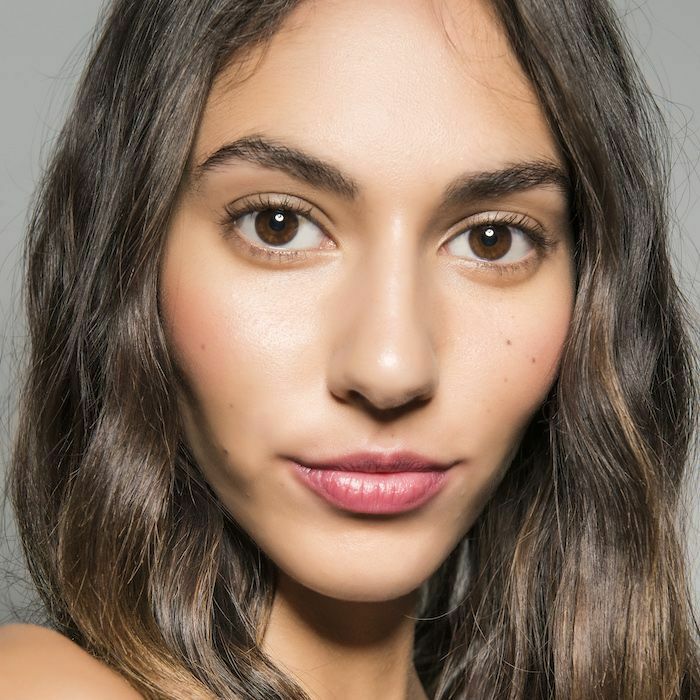 Spritz it in your hair before going in the sun and you'll have subtle natural-looking highlights in no time. We're packing a bottle in our beach bag. Now that you know some of the best vegan hair products to treat, nourish, and protect your summer strands, look into some of our favorite vegan makeup picks.